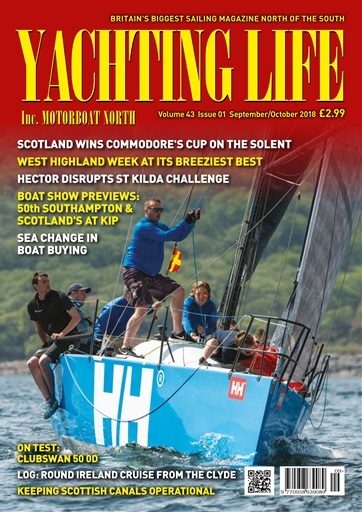 Big news in the September/October 2018 issue of Yachting Life centres on forthcoming Boat Shows: the 50th anniversary ‘Southampton’ and Scotland’s Boat Show held at Kip Marina. Appraised in Palma, Majorca is the ultimate One Design live aboard racer, Nautor’s ClubSwan 50 and there’s a comprehensive log describing a 15 day, two-handed cruise round Ireland. 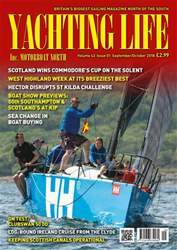 All that and more in this Yachting Life edition, created digitally in Scotland and available anywhere on the planet.